Many people claim that train routes in Sri Lanka are the most scenic ones in the whole world. If you only take the train once, take it from Kandy to Ella (or in reverse from Ella to Kandy) and make sure to take it during the day so you won’t miss the beautiful bridges and green hilly sceneries. We recommend you to book seats to an observation car to enjoy the ride at its best. If you don't have time to ride all the way to Ella, the route from Colombo to Kandy is also beautiful. If you dream about more train travel, the second best route must be from Colombo South to Galle. The track goes along the coast and the at times really close to the beachfront and the water. From Galle the train continues to popular surf beaches in Midigama and Weligama. 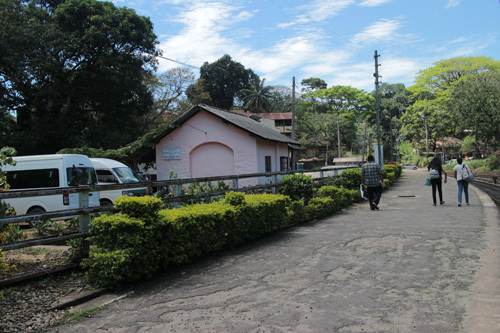 If you want to go off the beaten path after surf, you can hop on a car and visit our village in Neluwa. The road is in good condition in Sri Lankan terms and the ride takes only 75 minutes. Train travel is more ecological than flying or driving a private car – at least if you don’t happen to own a hybrid with near to nothing CO2 emissions. Just like eating and drinking the local way, taking a train in Sri Lanka is really affordable. 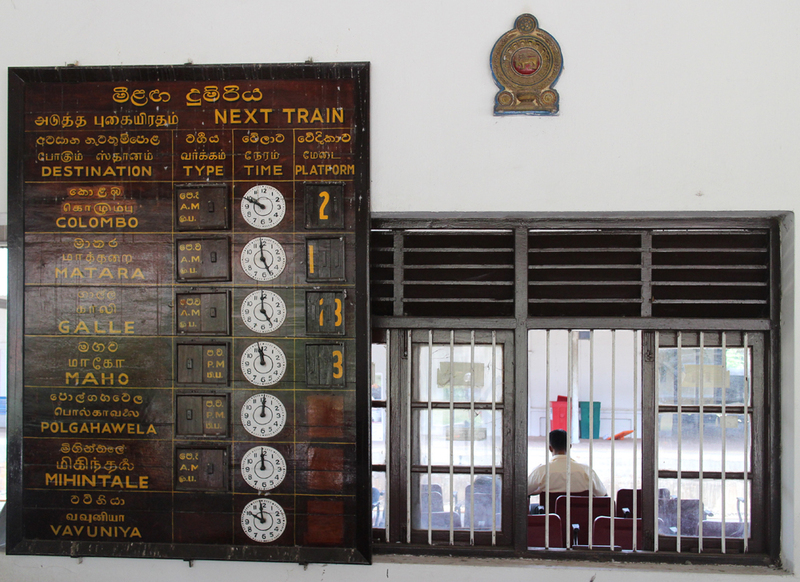 For instance, train tickets from Colombo to Galle cost between 1–10 euros, depending on whether you travel like a local (3rd or 2nd class) or with a little luxury (1st class or train with air-con). When travelling by train, you can always stand up and take a little walk in other wagons, buy tea and treats when a vendor comes by your aisle. Although trains are sometimes slower than busses and usually depart late, taking the train is still somehow more relaxing than taking the bus. we must say that some of the train stationS in Sri Lanka are architectural masterpieces and sights to see themselves. A train ride across the island from Colombo to Batticaloa takes 10 hours. You can book a sleeping wagon in the night train or take the morning train leaving at 6 AM to see the entire island while onboard. From Batticaloa you can take a bus or a taxi to our village Kalkudah on the East Coast. If you are not up for a 10 hour ride, you can hop off at Kekirawa 5 hours from Colombo, and take a ride to a nearby village called Alagollewa. Most of all, finding timetables, fares and routes is relatively easy. Check this website to find timetables and even book your tickets in advance. We recommend it, especially for the popular routes or if you wish to travel in a sleeping wagon, observation car or in a car with air-con – it might get really hot in the train!